I have recently come across a teddy bear that is well worn however is totally unusual. It is at my local oddities store. It is build like a normal teddy bear, stands approximately 45-50 cms high. However it has two faces. One side is a regular teddy bear side, and on the other is a babies face made from (what I think is) wood or cork? The babies face is well worn however looks like it has had inset eyes at one time. The bear body is also soft to the touch. The bear is also wearing an apron or a dress? And does not have any markings on it or on what is left of the bear. 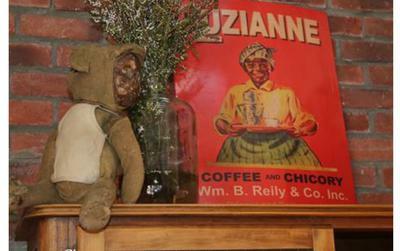 The oddities shop purchased the bear from the United States and do not know anything about it. Hi there, probably a Bear Doll. 1st appeared circa 1908 USA. Very rare. Try researching; Harman, the New York Mfg Co, and other USA Comps.